While I’ll admit that Christmas is not exactly a holiday that focuses entirely on romance, it’s obviously a pretty lovey-dovey time of year. Maybe it has something to do with all of those sparkling lights, the warm and gentle flicker of the fireplace, the undeniable urge to cuddle up and drown out the chill, or maybe it’s just a result of too much egg nog. Whatever the case, it is what it is. Not that I am complaining by any means, though. After all, is there ever a bad time for a little romance? Speaking of romance, providing your special someone with a romantic Christmas gift can sometimes prove to be a challenging task. Before we get down to the nitty gritty about choosing the best romantic Christmas gifts, however, there are a few things you should probably keep in mind. Windshield wipers for the car, a new toaster, or a set of cheap steak knives are NOT romantic Christmas gifts, and will more than likely get you hurt. Romantic Christmas gifts do not necessarily mean expensive gifts. There are a number of gifting options that can be very special and don’t cost an arm and a leg. Choosing a romantic Christmas gift doesn’t have to be difficult. Simply take a deep breath, connect with your special loved one, and shop shop shop! Now that all of that is over with, it’s time to think about the type of romantic Christmas gifts that you’d like to purchase. Here are some great ideas that are sure to spark some romance this holiday season. Nothing is more romantic than the gift of your time. Consider purchasing tickets to a special event, taking your special person to dinner and a movie, or really go all out with a hot air balloon ride. Show your loved one how much you care by providing a gift certificate for a day at the spa, a hot stone massage or treat that special someone to a relaxing dinner cruise. Think outside the box and provide your loved one with the experience of a lifetime by enabling him or her to achieve a special dream. With experience gifts like fighter pilot for a day, scuba diving lessons and tours, and even golf lessons from a professional, you are certain to discover something that takes his or her breath away. Create a gift basket filled with everything you need for a cozy night at home. Include things like personalized photo blankets to snuggle up underneath on those frigid nights, a nice bottle of wine from your local winery, gourmet chocolates and a few candles to top it off. 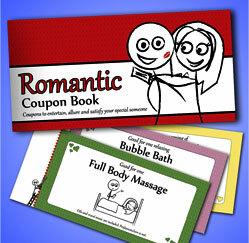 Put together a themed bundle of items that appeal to yourloved one’s senses. Think about a fluffy robe, scented candles, specialty bath soaks or body sprays, and a variety of gourmet treats and champagne. Present your loved one with a gift that keeps giving month after month when you give a subscription to an “of the month club”. With a wide variety of items available like fresh fruits, wines and beers, gourmet treats and even books and movies, there is certain to be an “of the month club” gift for that is perfect for that special person in your life. What is the most romantic gift you have ever received?